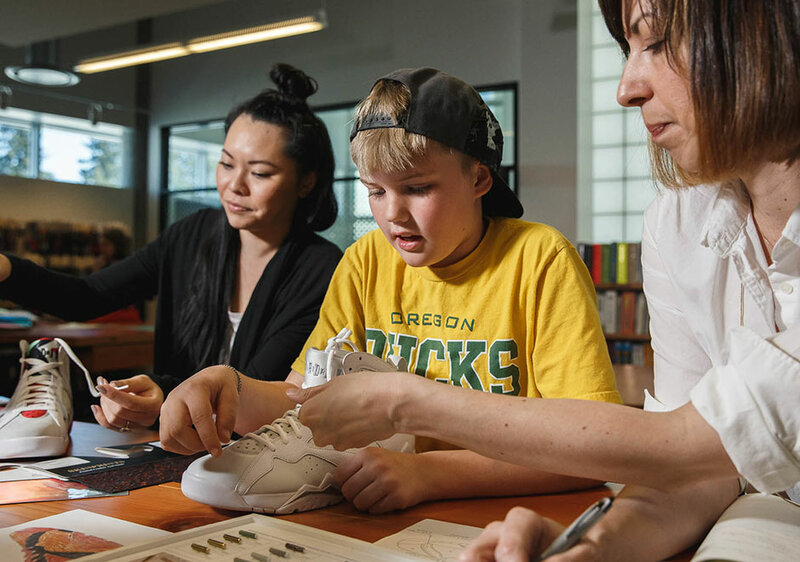 The patients of OHSU Doernbecher Children’s Hospital have gone through so much in their respective roads to recovery, so designing a pair of kicks for Nike is a piece of cake. This year’s collection, which was officially unveiled on Friday, October 28th, is the thirteenth collaboration between Nike and OHSU, and on this year’s menu of options is the Air Jordan 7, Air Max Zero, Kyrie 2, Air Huarache Ultra, and Stefan Janoski Max. There are specific design details that go behind the wild and crazy colorways that have come from the Doernbecher initiative, and all six designers sat down with OHSU to describe what exactly went behind their unique designs. Check out Air Jordan 7 Doernbecher designer Damien Phillips’ story below; you can watch all six videos now on the OHSU YouTube channel. The entire Nike Doernbecher Freestyle XIII Collection releases on December 17th.